Electrostatic air ﬁltration can remove symptom-causing dust, pollen, mold, and dander, as air circulates through your central air system. The technology uses a patented conﬁguration of woven ﬁltration media plus a medical quality, anti-microbial, foam core which inhibits mold and bacteria growth. Integral part of whole house air quality program. Compatible with all HVAC systems. 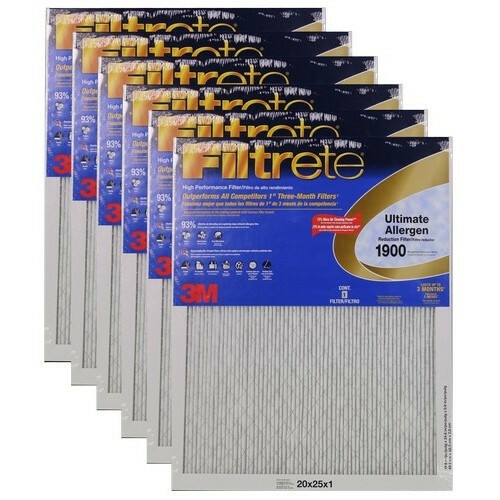 Filtrete™ Allergen Reduction Filters attract & capture large particles like mold spores, dust & pollen from the air passing through the filter. They also attract and capture microscopic allergens like pet dander, smoke, household dust & microscopic particles that can carry bacteria, viruses & odors.